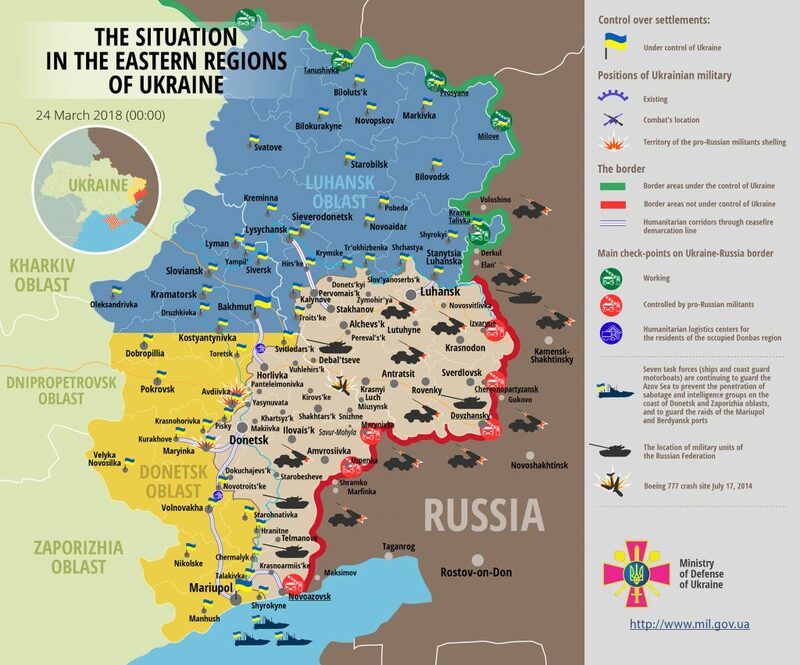 Hostilities in eastern Ukraine escalated yesterday. Russia-backed militants committed a total of 13 direct fire attacks on Ukrainian positions, the majority of them in Donetsk sector, reported Ukrainian Ministry of Defense spokesman Colonel Maksym Prauta at a press briefing at Ukraine Crisis Media Center. In Donetsk sector, militants delivered 11 attacks, involving various grenade launchers, heavy machine guns and small arms. These ceasefire violations took place near Lebedynske, Shakhta Butivka, Kamianka, Staromykhailivka, Novotroitske and Pavlopil. In Luhansk sector, Russian proxies violated the ceasefire twice. “They opened small arms fire on Ukrainian positions in Schastya at about 14:30. Then after 21:00 militants fired on our positions in Troitske, using grenade launchers and heavy machine guns. This attack continued for almost one hour,” elaborated the spokesman. Ukrainian troops incurred no casualties in action yesterday, but one serviceman was killed and one wounded in a non-combat explosion, caused most probably by careless use of ammunition. Report on the military developments as of March 24 is available here. Interactive data on the shelling: chronology shelling chart and the interactive map.